We are delighted to report that Chloe Keneally; Tait Awardee, recipient of a Leanne Benjamin Award; has successfully completed year one at the English National Ballet School. She appears to be flying through her studies having been awarded the First Year Female Student Progression Award/Most Progressed. Well done to Chloe and we look forward to hearing more about your progression into Second Year. 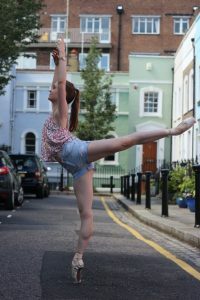 Australian ballerina, Chloe Jane Keneally completed her first year at the English National Ballet School and is about to start her second in September. 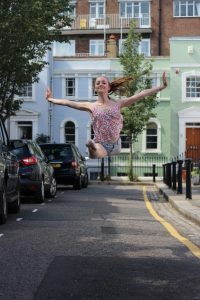 With the English National Ballet School, Chloe is currently studying around 50 hours per week and is working towards a Diploma in Professional Dance at Level 5. She has had many performance opportunities such as being chosen to dance for the Slaughter and May performance, perform her own choreography solo in the Christmas Show and perform in the finals of the Choreography Competition. Prior to this she trained at the Debra Whitten School of Dance completing her RAD Advanced 2 exam achieving 96%, Advanced Foundation 98% and Advanced 1 95%. In April 2016, Chloe competed in the 2016 Youth America Grand Prix finals in New York and was offered a scholarship to The New Zealand School of Dance. In 2015 Chloe was selected to participate in the Royal Ballet (Upper School) Summer School in London. Participated in the City of Sydney Eisteddfod and was a Finalist in the Robert and Elizabeth Albert Scholarship (top 8%) and then placed 2nd (out of 80) for the 15 years’ classical section. Was part of the Australian Ballet School Interstate training program from level 1 through to “Invitee”, and also continued to train weekly with the Queensland Ballet Junior training program (since 2012). Danced the lead role of the Sugarplum fairy in 2015 in my ballet school end of year concert, dancing the challenging Grand Pas de Deux and variation with a professional male ballet dancer as guest artist.